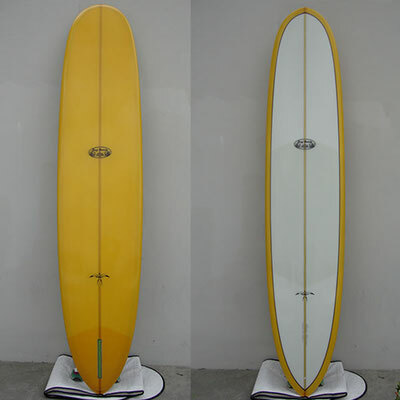 Donald pulled this design from his repetoire in the early 50's and 60's. 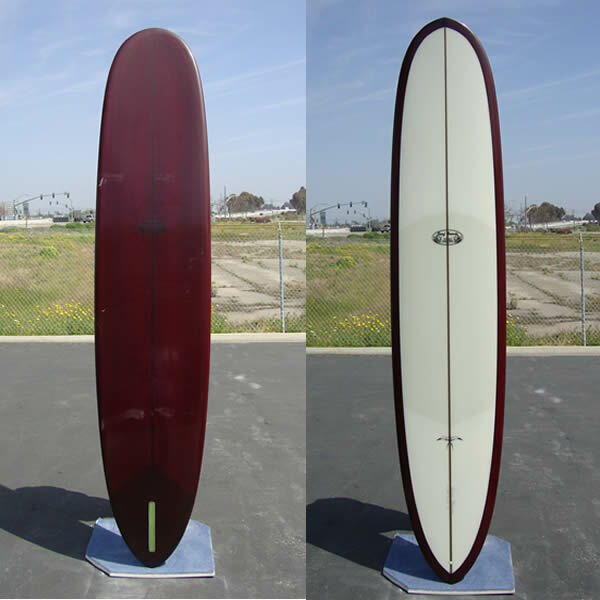 It is a classic retro design, glassed w/ volan cloth so weight stays true to the era from which it originated. So called the "Double Ender" because both the nose and tail are pulled in for speedy, overhead sections. 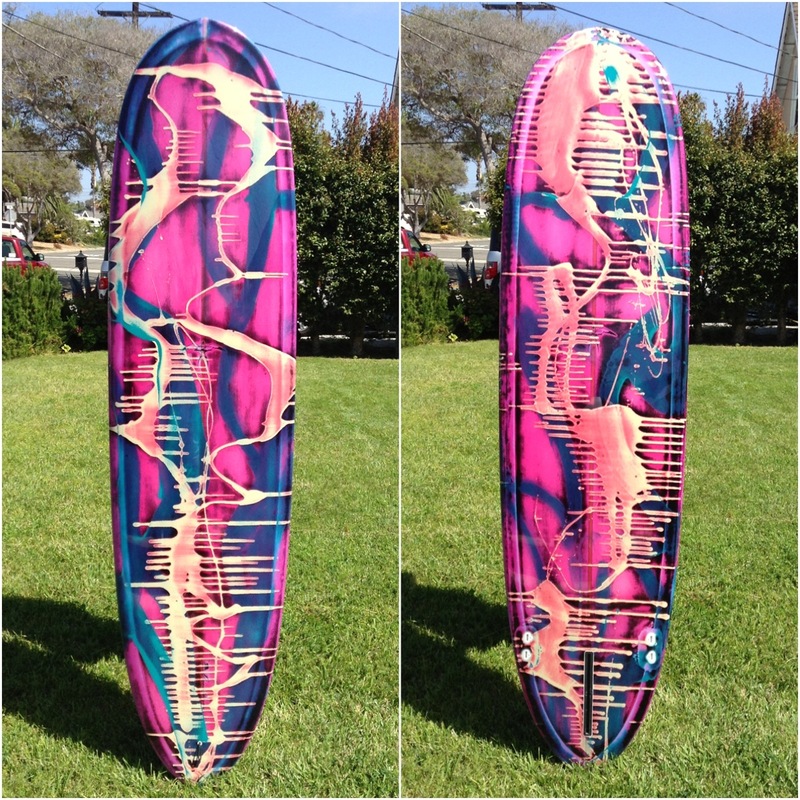 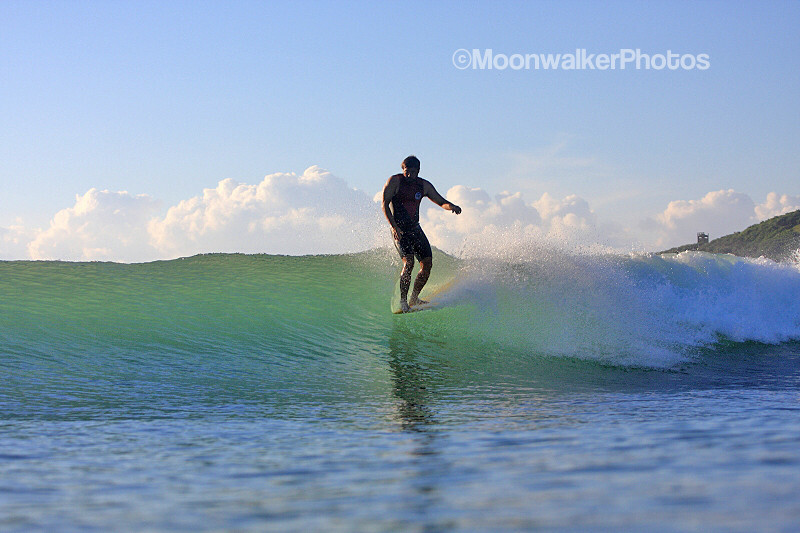 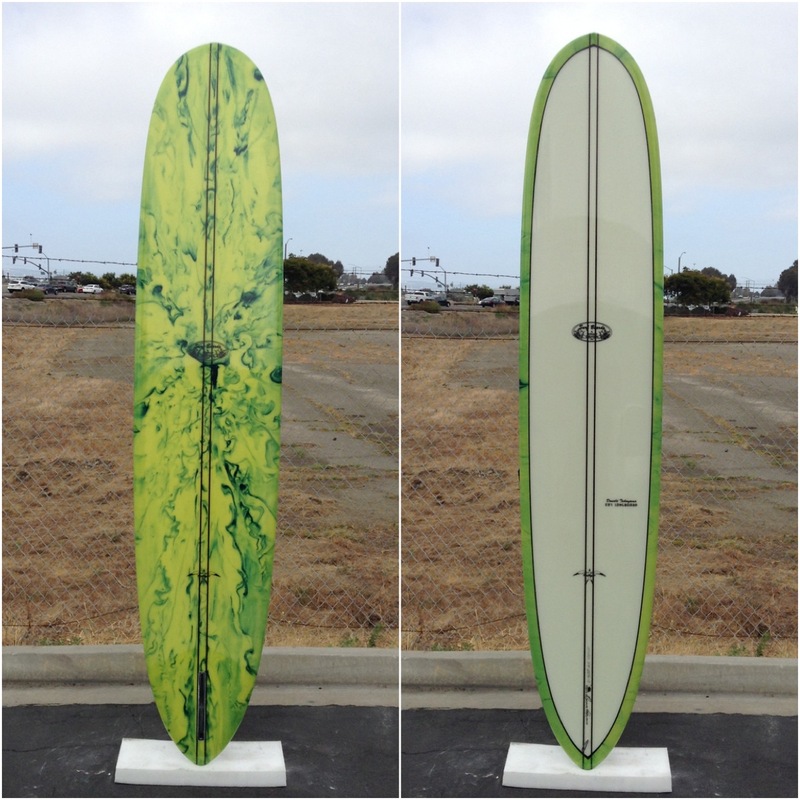 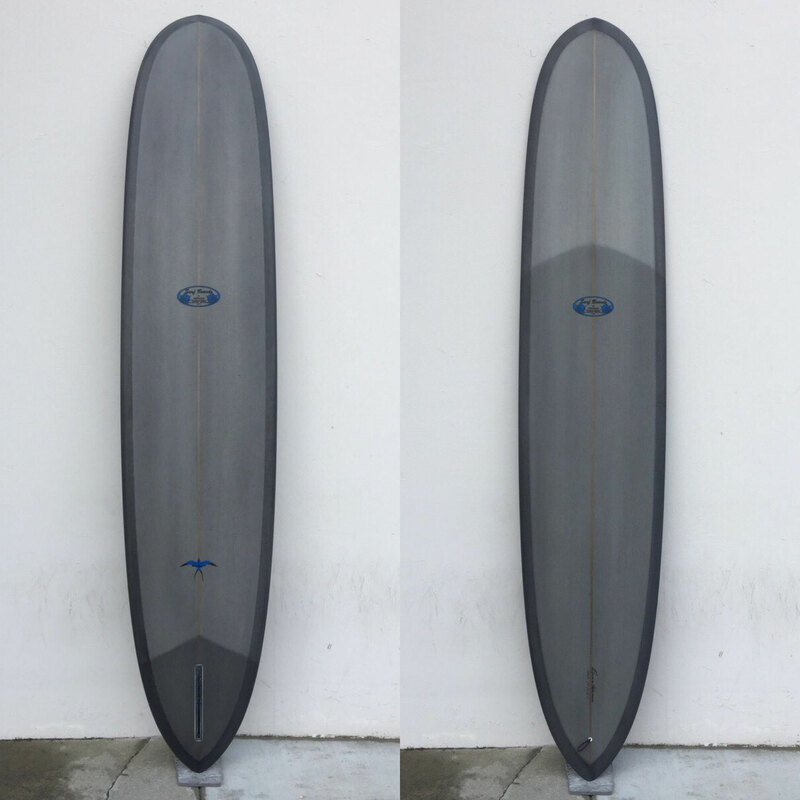 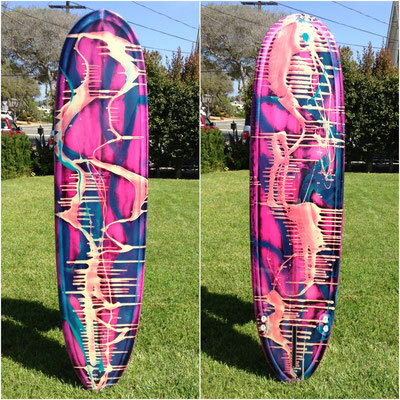 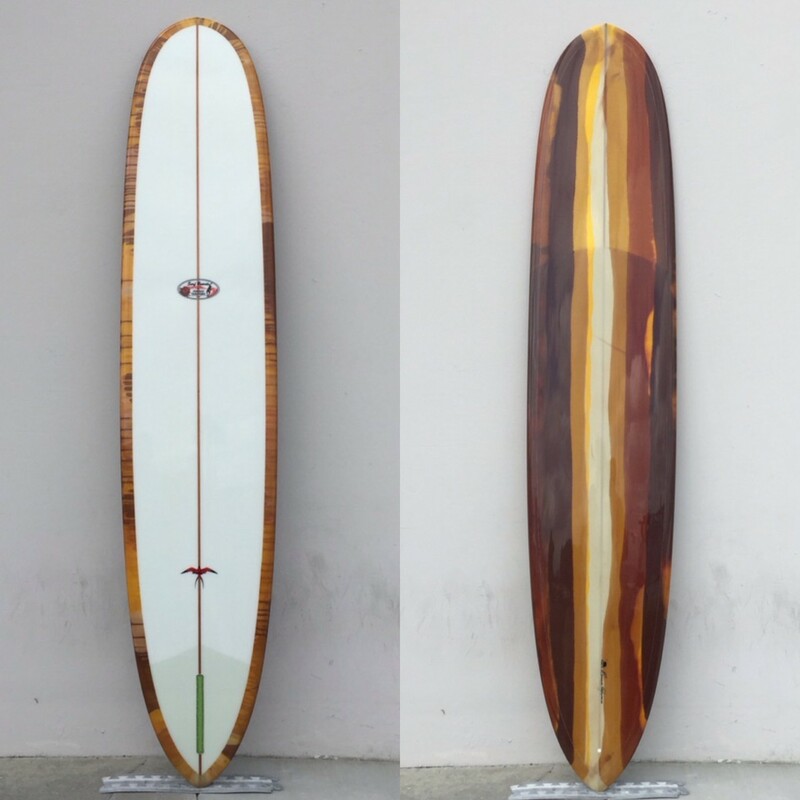 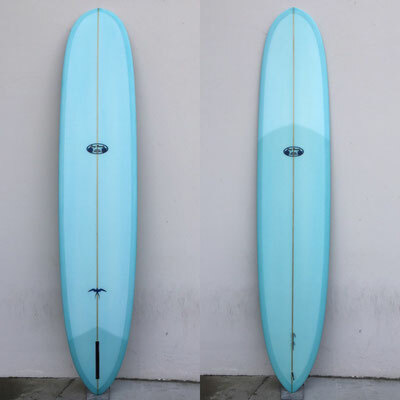 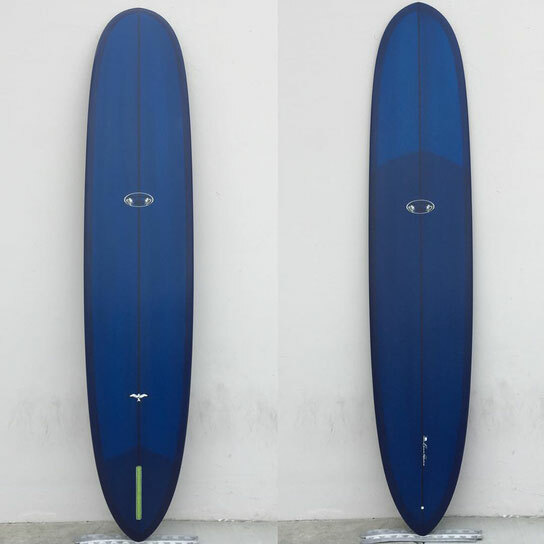 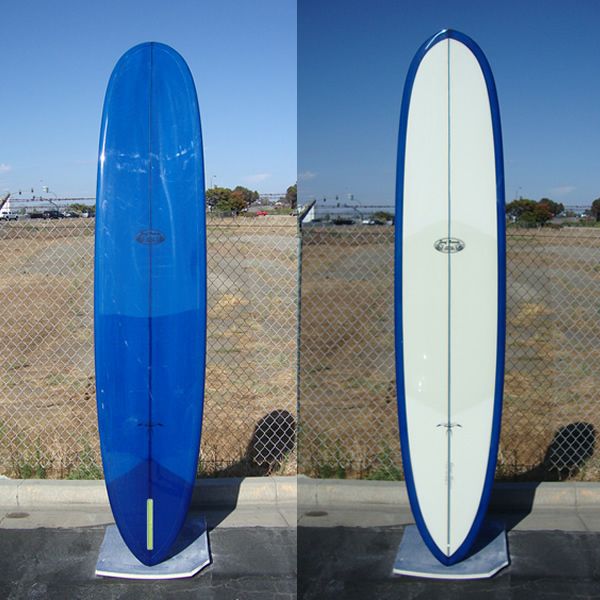 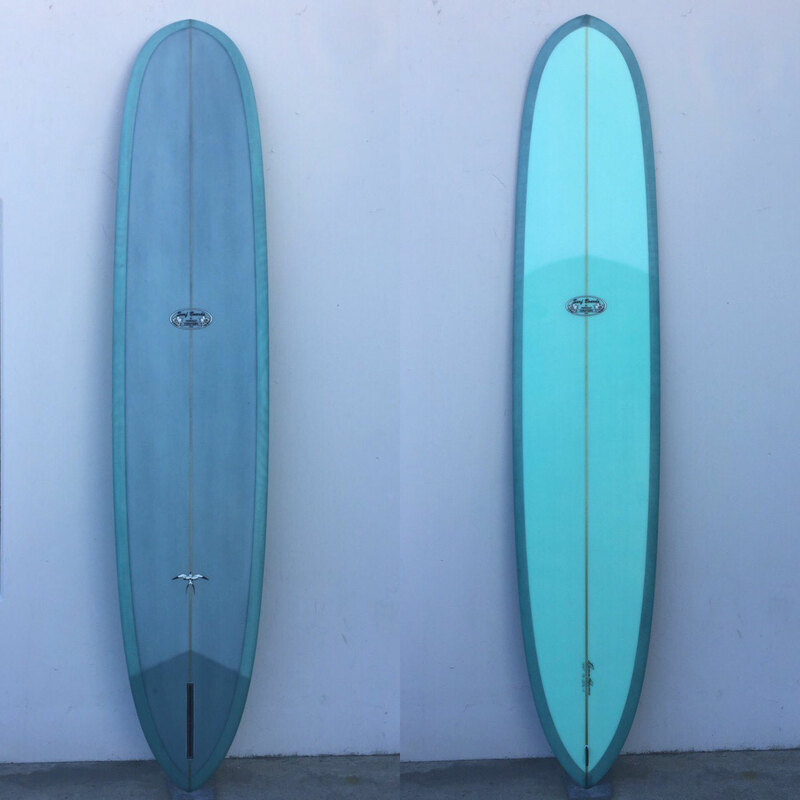 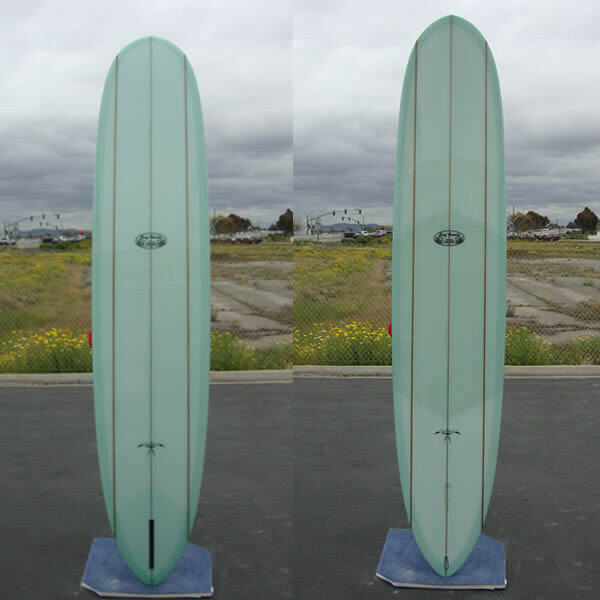 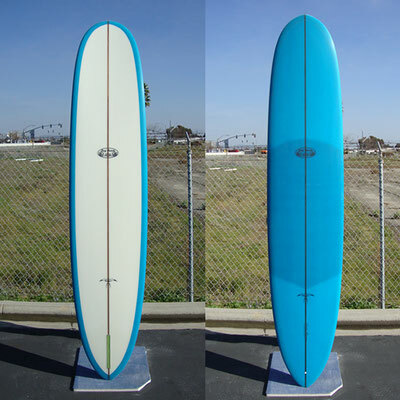 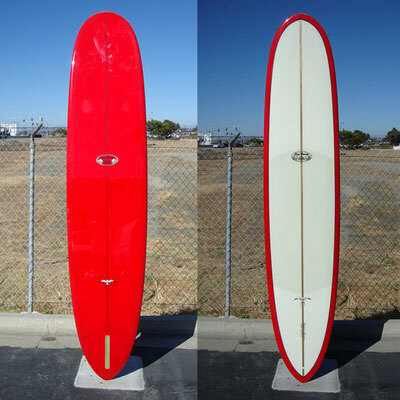 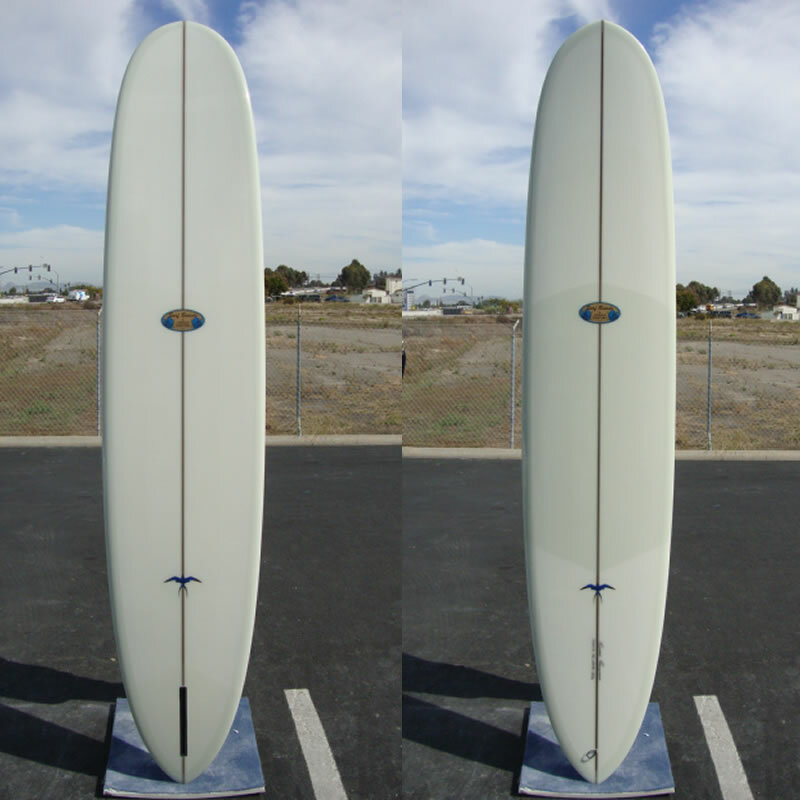 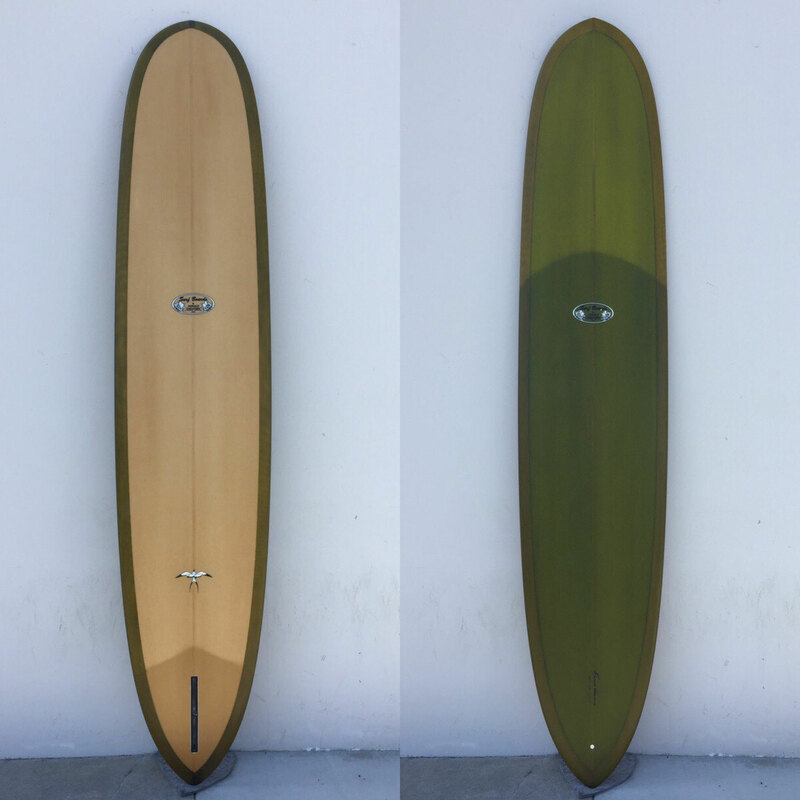 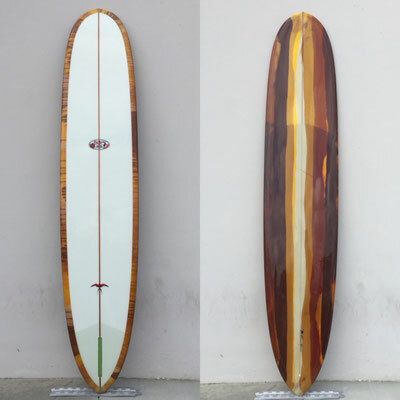 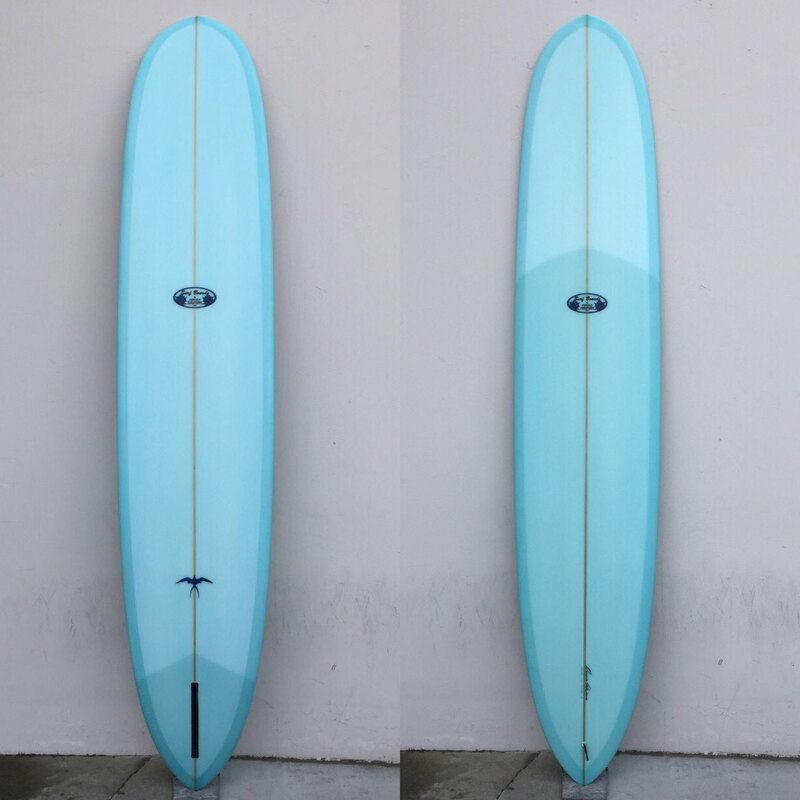 Although this board can be ridden in any size waves, its full potential shines in waves that are bigger than waist high. 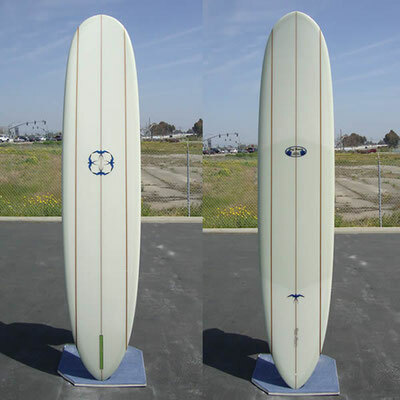 9'4" x 22 5/8" x 3"
9'6" x 22 3/4" x 3"
9'8" x 22 7/8" x 3 1/8"